The global solar panel recycling management market is prophesied to be bolstered for a strong growth in future with the increasing adoption of processes such as mechanical. The mechanical process could attract a handsome share for solar panel recycling management on the back of its proven safety and the rising installation of polycrystalline panels. Although laser technology is still operating at a nascent stage, the share of laser processes is anticipated to witness a telling increase in the coming years. The thermal process, on the other hand, could slightly fall short of matching the growth pace of other processes. However, with the reducing silicon content in panels, the demand for thermal process is expected to recoup. The global solar panel recycling management market is predicted to gain from the growth of products such as polycrystalline cells riding on the magnifying focus on the adoption of clean energy in developed nations. Polycrystalline cells are known for their high battery memory properties and significant efficiency. Other products such as thin film photovoltaic (PV) cells could also contribute toward the growth of the market because of their surged adoption subject to advantages such as longer shelf life, superior quality, and economic prices. One of the trends foreseen to continue in the competitive landscape of the global solar panel recycling management market is the increment of stakes in other companies. This could be proved with Sunvault Energy’s purchase of an approximate 50.0% stake in Canadian waste-to-energy firm, CleanGen in 2015. The growing demand for sustainable energy has created a dire need for solar panels as commercial, non-commercial, and industrial units are turning their heads toward tapping solar energy. This has spiked the demand and uptake of solar panels in recent years. Furthermore, increasing number of government incentives for installing solar panels to use non-conventional sources of energy has also triggered the demand for solar panels. The impact of these factors can also be seen on units that upgrading their facilities with new and improved panels that come with better technology and deliver higher performance. However, this has resulted in an urgent need for recycling of old panels for ensuring effective waste disposal and reducing the carbon emissions, giving birth and boost to the global solar panel recycling management market. Directives such as the Waste Electrical and Electronic Equipment (WEEE) Directive 2012/19/EU, announced in 2012, stated that manufacturers of PV systems must take the responsibility of recycling decommissioned systems and ensuring their effective disposal. Thus, stringent regulatory framework governing installation and decommissioning of solar panels is expected to boost the recycling management market in the near future. Furthermore, growing investments to reduce the pressure on landfills and cutting down on carbon footprint have also led to the rise of this market. Though the solar industry is at a nascent stage, manufacturers of components are taking up the responsibility of recycling seriously. Solar panel manufacturers have continuously focused on delivering improved versions as needs and consumption patterns have undergone drastic changes. The popularly used process for recycling solar panels is a thermal process and mechanical process. Hellatron Recycling, an Italian firm that delivers innovative recycling solutions, states that demand for solar panels is expected to grow exponentially over the years. Thus, it will be crucial to collaborate with users to work on the best possible solutions for recycling solar panels. Currently, the company focuses on mechanical processes, which delaminates the panels, salvages glass material, and then cut the panel into thinner stripes. The key advantage of using mechanical process is that it is devoid of chemicals, which translates into lesser contamination due to chemicals. The popularity of mechanical processes is also on the rise due to their ability to reduce emissions in the long run. The company is a market leading in complying with the WEEE norms that have been established for the sector. 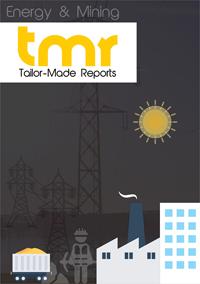 In terms of geography, the global solar panel recycling management market is segmented into North America, Latin America, the Middle East and Africa, and Asia Pacific. Presently, North America leads the pack due to growing awareness about solar panel recycling in the U.S. This regional market is also being driven by growing number of solar farms in the regions that are projected to undergo upgradation in the near future. Developing nations in Latin America and Asia Pacific are expected to steady growth too as they work towards being self-reliant in terms of energy resources in the near future. The leading players operating in the global solar panel recycling management market are Envaris, ECS Refining, REMA PV Systems, Eiki Shoji Ltd, Darfon Electronics Corporation, Chaoqiang Silicon Material, Rinovasol, PV Recycling, LLC, Suzhou Shangyunda Electronics, Silcontel, Cellnex Energy, IG Solar Private, Reiling Glass Recycling, Canadian Solar, and First Solar.